Houses on the canal side on Walkers Lane. Photo courtesy of V. Hopkinson. 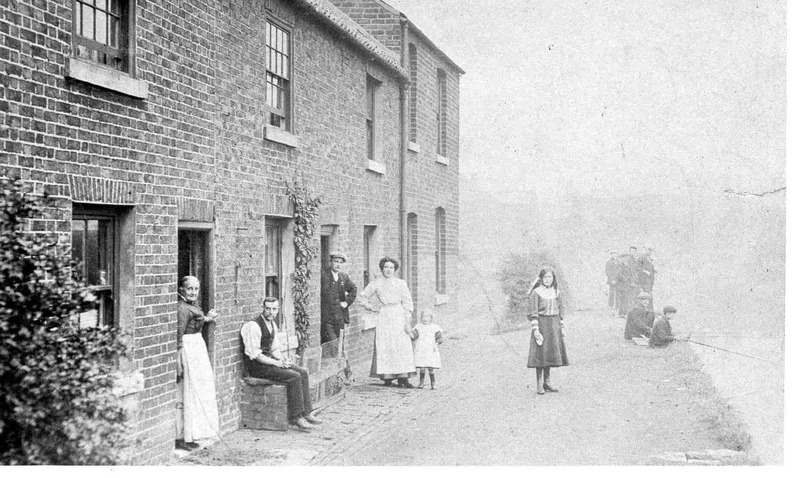 My father (Norman Penn) was born in one of these houses – I think it was the one at the far end – in 1925. He was the youngest of 13 children of Walter and Alice Penn – his father Walter was the water bailiff for that section of the canal. He married my mother Jean Penn (nee Spooner – born in the ‘brickyard’ in 1928). They remained in Killamarsh all their lives, ashes of both are interred at St Giles churchyard. These were pulled down by 1947 because I remember the scout hut (a domed concrete sectional building) being assembled. My father had a garden to the north of Walkers Lane until 1958(ish) next to an old orchard then a scrap yard and I used to take the constructors billy cans and makings to Mum at 49 Bridge Street to be filled up. I earned about 3d a week for this.